Thanks to 25 years of MILO supporting junior grassroots cricket here is your chance to win one of 5 x MILO Champ Bands, valued at $39.95, each. 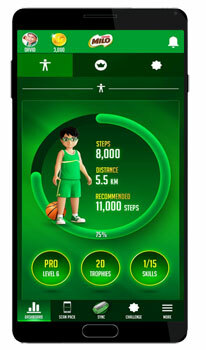 The MILO Champions band activity tracker and Champ Squad program is a digital platform and fitness and activity tracker that uses the latest wearable technology and smartphone app to encourage youngsters aged 6-12 years-old to get active through sport (also a digital watch). 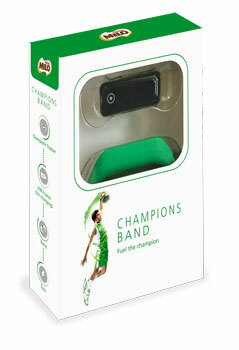 Within the MILO Champions band app, kids can join the MILO Champ Squad where they can learn new sporting skills from some top athletes, including Holly Ferling and David Warner, through an augmented reality experience. This summer, David and Holly have put together a fun program that will get kids to put their new skills into practice, with exciting activity challenges where kids can be encouraged to keep active by earning points and rewards. From batting and bowling through to throwing and catching, the MILO Champ Squad gives kids the chance to develop physical fitness, social skills, sportsmanship and get a better understanding of Australia's favourite sport. With their dedicated section, parents can also monitor their child's activity and energy balance by using the meal planner and simple activity tracking tools. And, to keep their kids motivated, parents can send them reward badges with personalised messages of support to help fuel their little champion.